Scorpion Track Fleet â Insurance Approved, Cat. 6 Accredited GPS Fleet Management System. This system is a vehicle tracking and monitoring solution suitable for all 12 and 24 volt vehicles including cars, HGV, LCV, plant and agricultural. The system is an invaluable tool in keeping track of your fleet of vehicles 24 hours a day. It is also accepted by insurers as a Thatcham Category 6 accredited tracking device and is subject to a subscription with a minimum of a one year term. The system offers a host of system tools. · Easy to use, circular or user definable (polygonal) geo â fences â points of interest. · Geo â fence creation from reports. 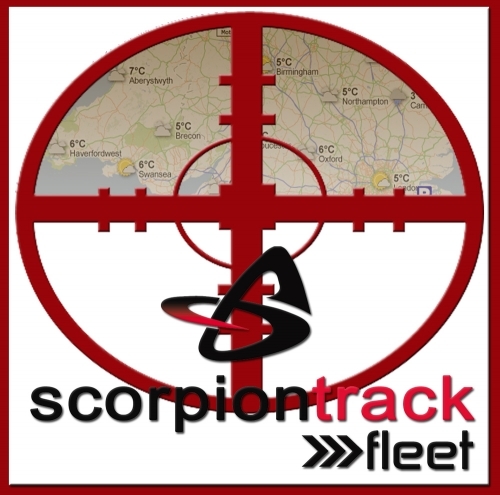 The Scorpion Track Fleet system offers a comprehensive range of reports.